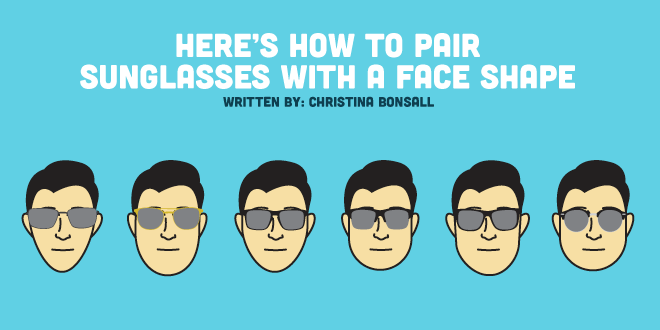 Some opticians just have a knack for perfectly fitting sunglasses to each face shape. For those who don’t, I’m going to provide you with some general guidelines you can follow that will get you started down the right path. Because you’re bound to have an influx of sunglass shoppers during summer months, we’ll talk specifically about sunwear. But before we delve into finding that perfect frame, let’s discuss how to get a patient out into optical and looking at sunglasses in the first place. The key to sunwear sales is quite simple. Talk to your patients about sunglasses in an organized, professional way. Talking to your patients about sunglasses is no single person’s job. Instead, it’s a group effort across each patient’s visit. Discussing sunglasses starts with the receptionist. When scheduling or confirming appointments, make sure each patient is told to bring along all of the glasses he or she wears, including prescription and non-prescription sunglasses. Next comes the clinic technician. The doctor plays a huge role in the process. During the eye health portion of the exam (i.e. 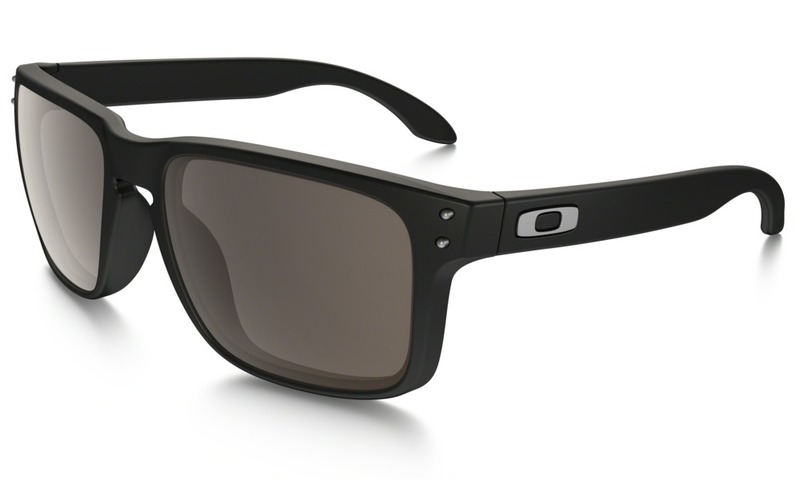 when reviewing the optomap image), optometrists must discuss UV protection with the patient. If the patient isn’t currently wearing sunglasses, the doctor must prescribe them. Plano sunwear should be prescribed to patients who don’t need correction, as well as to those who wear contact lenses. It’s really that simple. 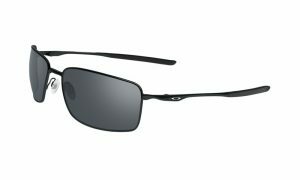 If the doctor provides a clinical purpose for the sunglasses, it changes the patient’s perception from a want to a need. We opticians are the “closers.” We make the sale. We’re the ones who present our selection of sunglasses as the solution to the need created by the optometrist, and we need to feel confident that we can help each patient find that perfect pair of sunglasses. This is where we often get hung up. Typically, a primary pair of glasses will also be prescribed, so opticians generally address that pair first. 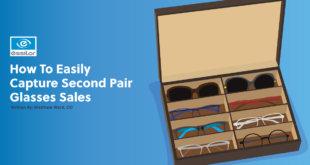 But if we discuss the sunglasses first, it truly makes a difference in securing that second pair sale. 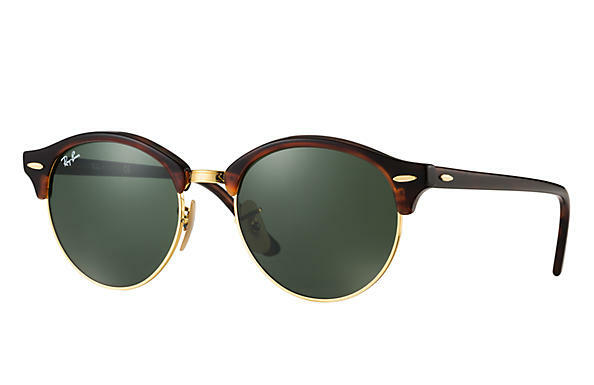 Don’t treat sunglasses like a luxury or a splurge. Remember, the doctor prescribed them and the patient needs them, so it is our job to provide them. As you are preparing the lens quotes for your patient, prepare quotes for all of the lenses the doctor prescribed. Include any second pair discounts that may apply. For instance, we offer 50% off a second pair when purchased within 30 days. 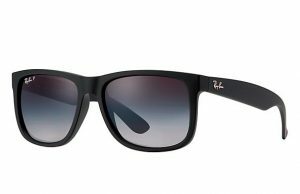 If you are still getting push back on that second pair, make sure to get some sunglasses on your patient’s face as you are choosing frames. 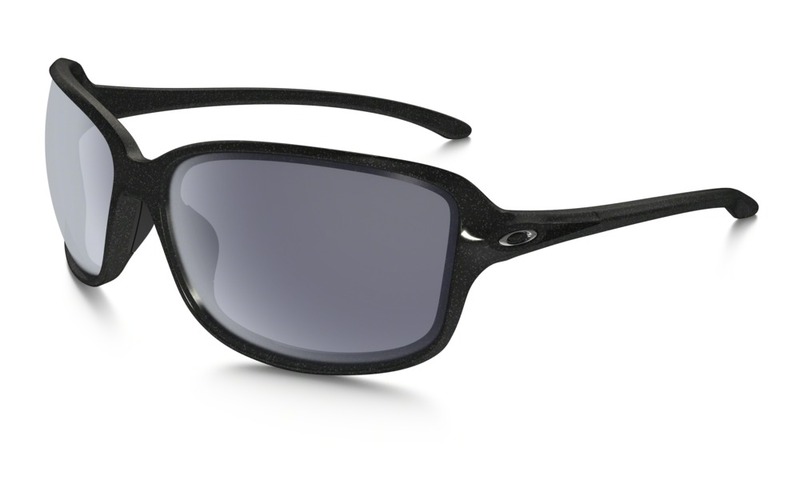 We display our sunglasses in line with our ophthalmic frames for exactly that reason. As I am selecting frames for the patient to try on, I hand them both ophthalmic frames and sunglasses. This is where matching the sunglasses to the face shape comes in. Every optician needs to become a pro at finding that perfect pair of frames. If you can select amazing sunglasses that will enhance the best features on your patients’ faces, you’re all set. 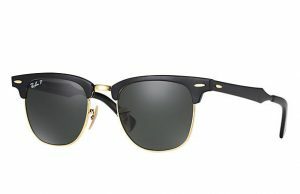 And that is really all about understanding how sunglasses interplay with the shape of the face in the first place. 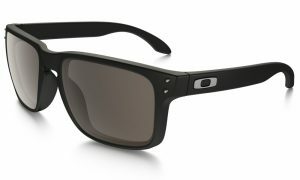 The powerful combination of the clinical need for UV protection and the desire for fun, fashionable accessories makes selling sunglasses easy. But, remember, you can only sell sunglasses if you talk about them in the first place! So….now that you have that patient out in optical and looking at sunwear, let’s talk matching sunglasses to face shapes. It should go without saying that oversized or fitted, wrapped frames are best for all face shapes if patients truly want adequate sun protection. Beyond that, even the most conservative of patients tends to want to have a little fun with their sunglasses, so encourage it, and use the tips below to help you. It’s really about the shape of the face and the shape of the frame. Oval is typically considered to be the ideal face shape because it is the most proportionately balanced. People with this shape can wear whatever frame shape they desire, but choosing a frame that is slightly wider than the widest part of their face will accent their features in the most flattering way. Rectangular or cat eye frames are particularly flattering because they contrast with the soft lines of an oval face, but ovals can just as easily pull off round frames. Soften the strong lines and sharp features of a square face with oval or round frames. 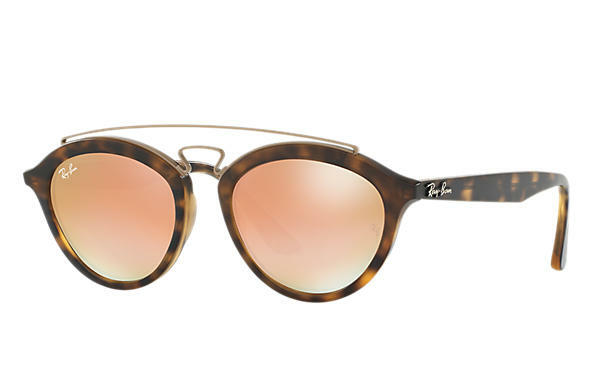 Cat eyes, oval, or round frames will best complement a square face shape. Frames with a strong brow line that is much wider than the bottom of the frame will draw emphasis upward and away from the jawline. Round faces have no angles, so add some structure to your patients’ faces with angular frames. Choose frames that are wider than they are deep, and look for sharper lines of a square or rectangular frame. While you should stay away from traditional cat eyes with rounded lenses, choosing frames that have upswept brow lines can certainly create the appearance of more defined cheekbones. Balance a diamond-shaped face by drawing the attention upwards toward the eyes. 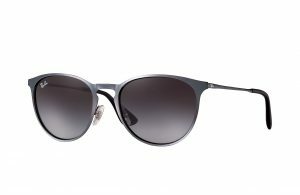 Oval frames will soften the strong angles of this face shape, while still adding the illusion of some width to the face. The key is to put emphasis on the brow line. Diamond shaped faces are perfect for semi-rimless frames or two-toned frames with a darker brow line. If the brow sweeps up at the corners, it will also draw the attention up and away from the wide cheekbones and add width to the narrow forehead. The goal with a heart-shaped face is to draw attention downward and away from the wide forehead. 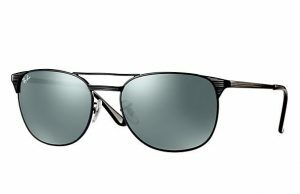 Steer clear of semi-rimless frames and very bold brow lines and opt for a more balanced frame. 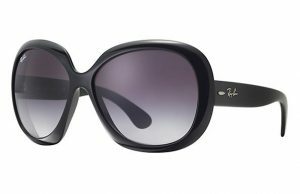 As far as shape, hearts can wear nearly anything, but go for frames that are similar in width at both the top and the bottom of the frame. Think true rectangular or square lenses. This will keep the frame proportionate to the width of the forehead, while drawing some emphasis down to the bottom of the frame. Oblong faces need frames that are proportionate to their elongated features, while adding some width to the narrow shape. Rounder shapes will add softness and contour to the broad face, but look for frames that draw attention upward and outward. Here again, cat eye shapes are great, as are frames with a very prominent brow line. Accents on the outer corners of the brow line will draw the attention out and give the illusion of more width to the face. You may have caught on by now that the rule of thumb is: Opposites Attract. 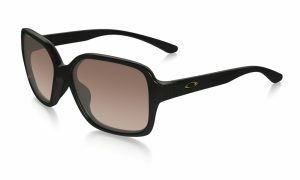 You will create the most flattering appearance by putting a rounder face shape into more angular sunglasses, and vice versa. Use colors and accents on the frame to draw the attention away from wider parts of the face and pull the focus toward the eyes. Draw attention down from wide foreheads with bottom-heavy frames, and draw attention up from wide jawlines with top-heavy frames. Most importantly, remember, these are all just generalities. You must always take into account the fashion sense and personality of each patient on an individual basis, so don’t be afraid to break the rules, if that is truly what the patient desires! Identifying someone’s face shape is its own process. If you are unsure of how to identify a patient’s face shape, I’ve created a quick guide to help you out. Oval face shapes will have a forehead and a jawline that are approximately the same width. The chin and jawline will be rounded, with no hard lines, and the face will be widest at the cheekbones. Square face shapes will have a width and a length that are almost equal. The jawline will be very defined, and the hairline will be almost straight across the forehead. The cheekbones will be the same width as the forehead and jawline. Round face shapes will also have a width and length that are equal, but the jaw and hairline will be curved. The widest part of the face will be the cheekbones. Diamond face shapes will be longer than they are wide and high set cheek bones will be the widest part of the face. The jawline will be pointed at the chin. Heart shaped faces will be widest at the hairline and the face will narrow all the way down to a long jawline with a pointed chin. Oblong face shapes will be much longer than they are wide. The cheekbones, forehead, and jawline will be the same width, and the jaw will be more narrow and slightly rounded. Want to know more? Check out this ABO & COPE Accredited webinar that relates to this topic!